SAITAMA - The world championships turned out to be a disappointment for Japan. With a realistic chance at four medals in singles, the host nation had to settle for just one in Yuzuru Hanyu’s silver. Despite the results, Ice Time does not believe there is reason to be discouraged. To the contrary, if a few more jumps had been landed, Japan could have had four skaters on the podium in singles. Though his legion of fans were unhappy that Hanyu did not win the gold, coming back from an injury and getting the silver behind defending champion Nathan Chen was actually a positive development. 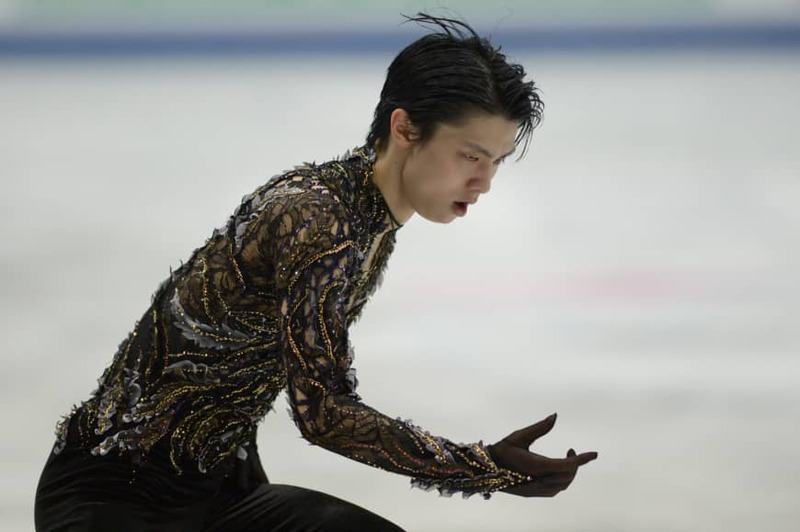 It was clear to Ice Time that Hanyu has still not fully recovered from the right ankle injury he suffered at the Cup of Russia back in November in Moscow. This appeared most evident on his salchow jumps. Hanyu’s class was on full display at the press conference after the free skate on Saturday night. After thanking all of the people who made the world championships possible, he was full of praise for Chen and bronze medalist Vincent Zhou of the United States. “I am disappointed with the result somewhat of being in second place,” Hanyu commented. “Even so I’m also very glad I was able to compete with these two skaters here and I want to thank them for making me feel that I want to become better now. Some may see the result in Saitama as a passing of the torch. Ice Time disagrees. Hanyu is a genius, and when he is 100 percent healthy will figure out a way to defeat Chen. The decision for Hanyu to skip next month’s World Team Trophy in Fukuoka, though sad for his supporters, is a wise course of action. The hope here is that he will be fully fit by the time the new season rolls around in the fall. Following last week’s IOC executive board meeting in Lausanne, Switzerland, the chief of the fledgling Olympic Channel talked about Hanyu’s popularity amongst its viewers, Kyodo News reported. Yiannis Exarchos, the Olympic Channel Services executive director, said at a news conference that Hanyu is the biggest attraction of the IOC’s content provider, the Olympic Channel. “Yuzuru Hanyu is the biggest star of the Olympic Channel, not just in Japan but everywhere,” Exarchos said. “Figure skating has an extraordinary performance. Obviously, all the content we do for Japanese athletes has a lot of traction, but I would like to single out figure skating as a very special case of increased traffic. “We have seen Japan exploding and becoming our second country in terms of traffic after the United States and continuously growing,” Exarchos added. “We don’t even have the rights for figure skating, but it has a huge following on the channel there, among other things based on the star quality of Yuzuru,” Exarchos commented. Fuji TV’s IceScope high-tech device, which measures height, speed and distance covered on jumps, illustrated at the world championships just how superior Hanyu’s triple axel is to his competitors. According to the stats recorded by IceScope, Hanyu posted the greatest height (70 cm) and distance (362 cm) of any male skater on the jump at the worlds. By contrast, Chen’s height (58 cm) and distance (266 cm) were far less than Hanyu’s. Hanyu’s stats were not the only ones that were mind boggling. It’s no secret that Kaori Sakamoto’s jumps are powerful, but the IceScope revealed a pretty amazing fact. It clocked Sakamoto’s landing speed on her double axel as the second-fastest of the entire competition — men or women — at 20.7 kph. The only person with a higher landing speed was the Czech Republic’s Michal Brezina’s with 21.0 kph on his triple axel.